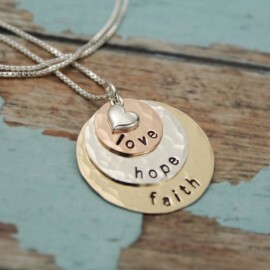 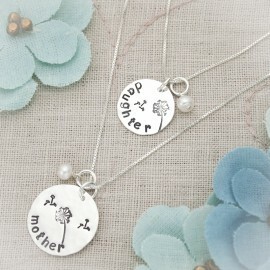 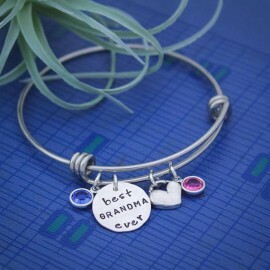 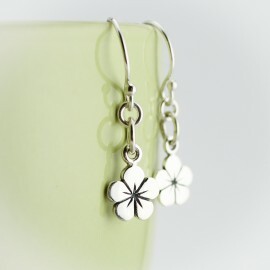 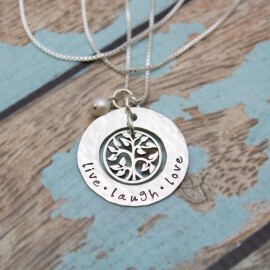 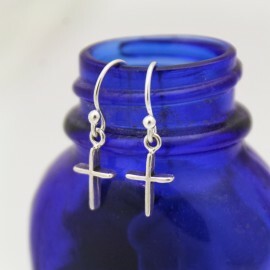 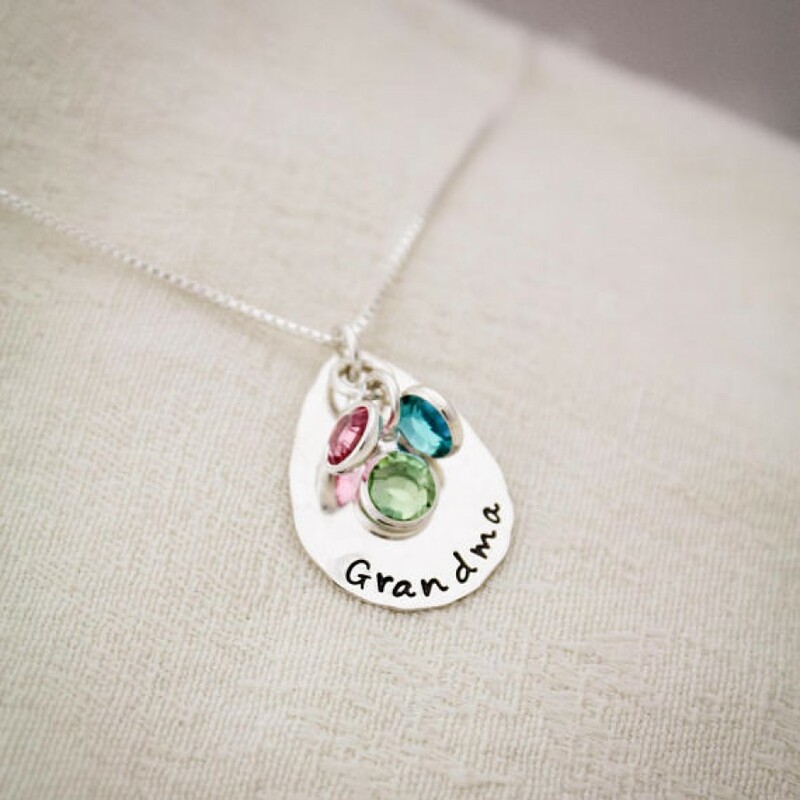 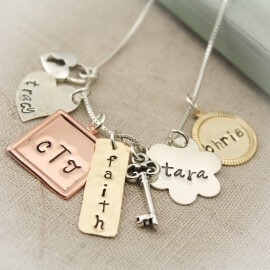 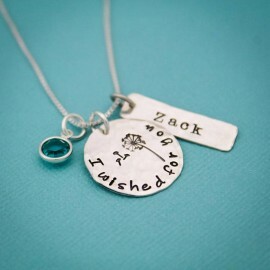 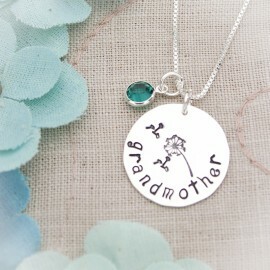 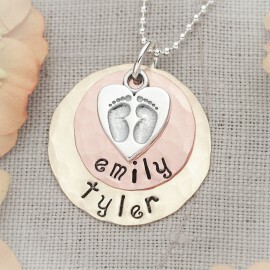 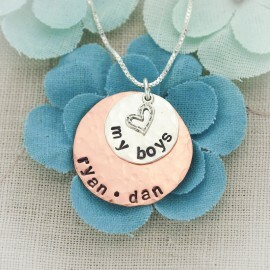 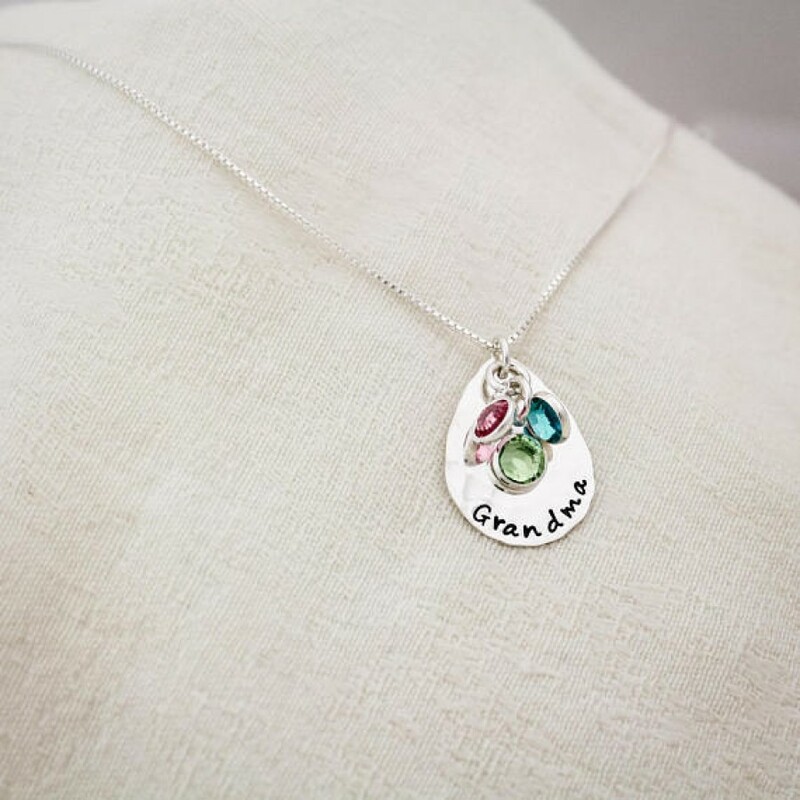 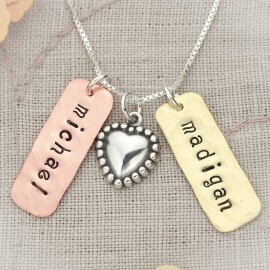 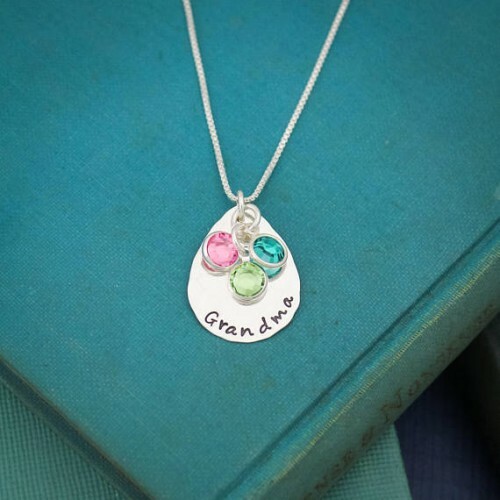 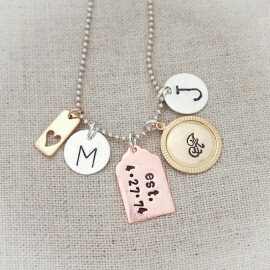 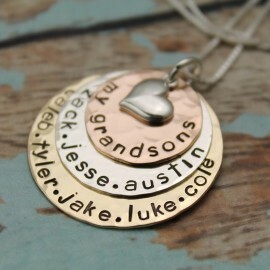 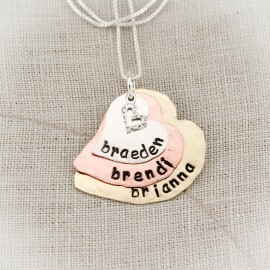 A sterling silver teardrop, 1" tall, is hand stamped with "grandma" or her special grandmother name. 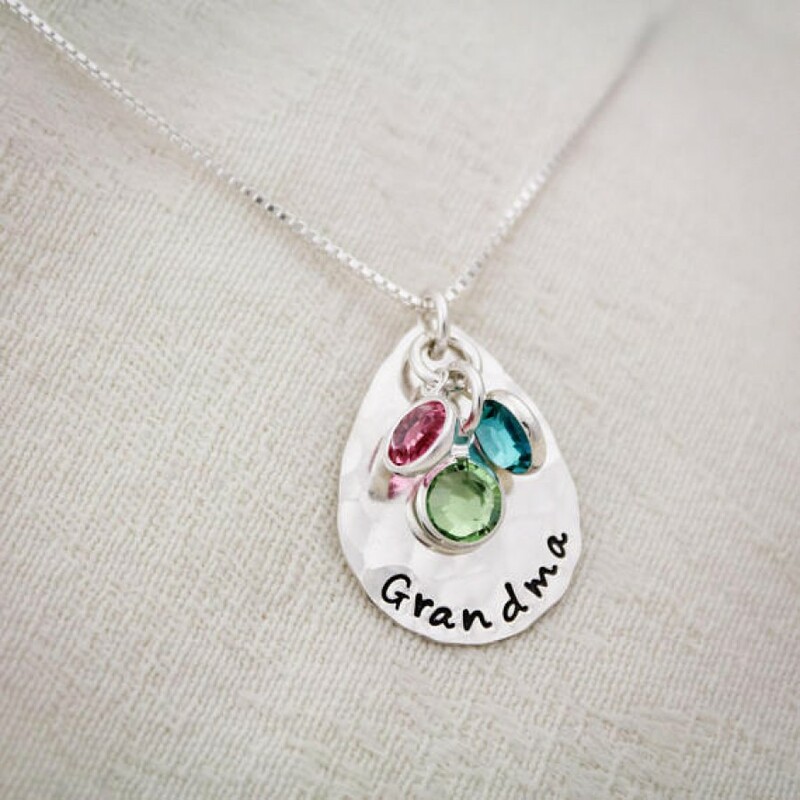 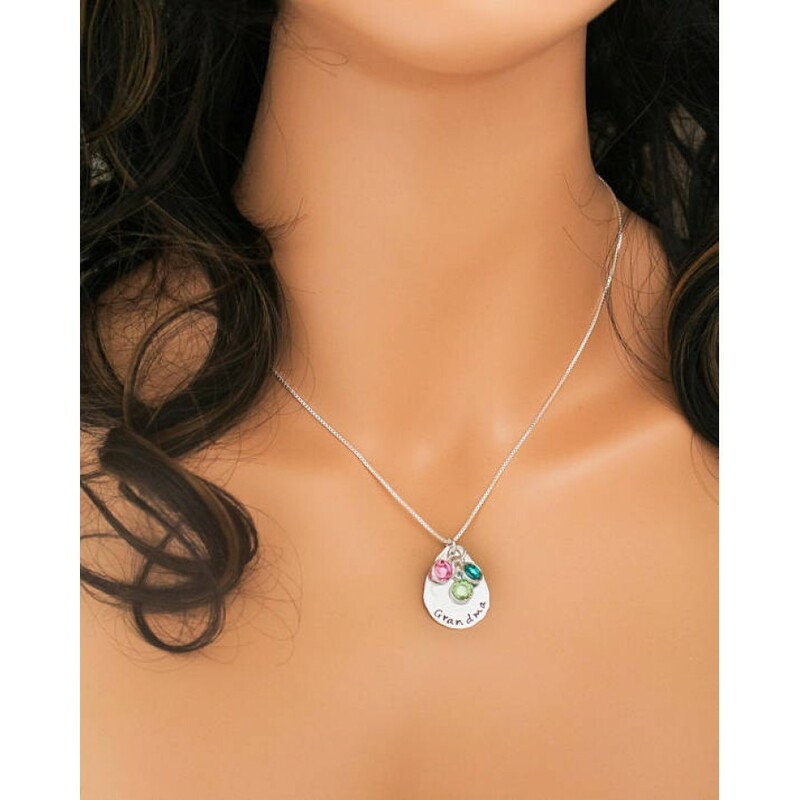 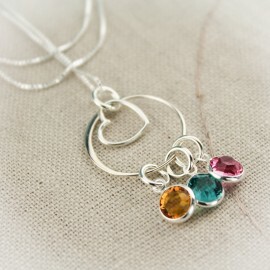 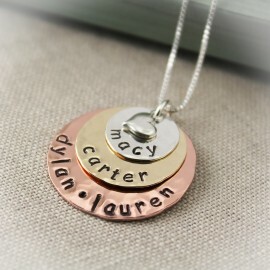 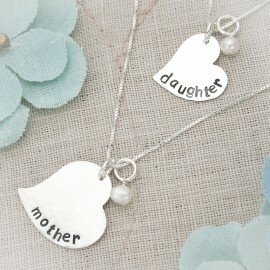 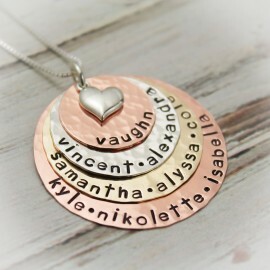 Birthstone charms adorn the top representing each of her loved ones. 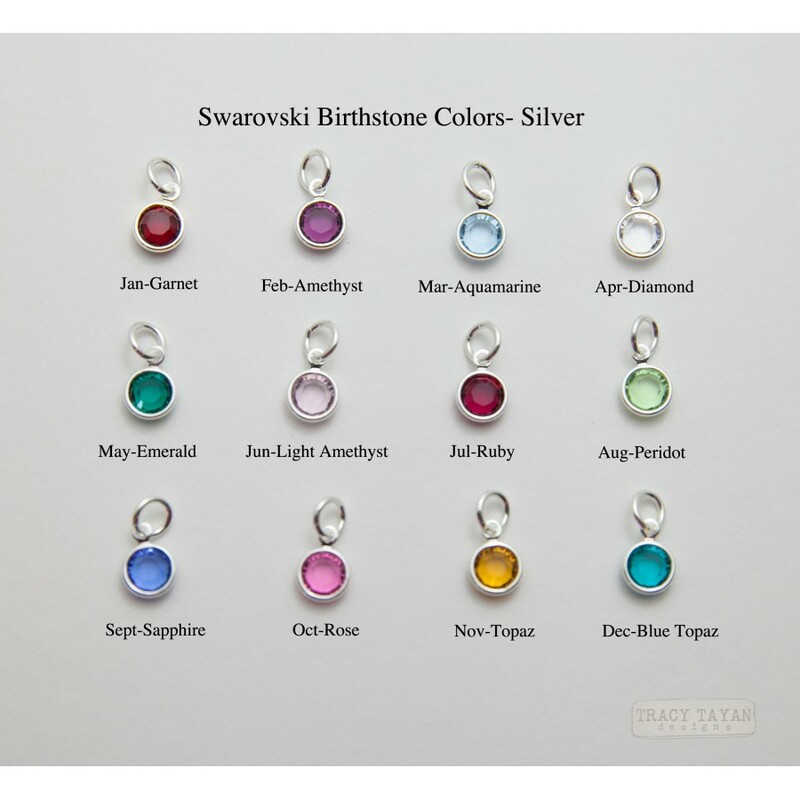 Birthstones can be added later when more children are born.